Working parents are often faced with many issues and concerns when trying to find the appropriate caregiver for their child or children. 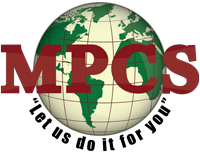 MPCS will care for your child or children in the comfort of their own home. We have created this arrangement with your kids in mind, so as to maintain a traditional home-like atmosphere and not one of a commercial day care center. MPCS are the experts when it comes to child care needs. We consider your child’s safety, nurturing atmosphere and their daily routine and especially how understanding our caregivers are when dealing with any discomforts along with your child’s activities. Our caregivers possess over 15 years of experience in caring for children. We are committed to the growth and development of your child by nurturing them as our own.